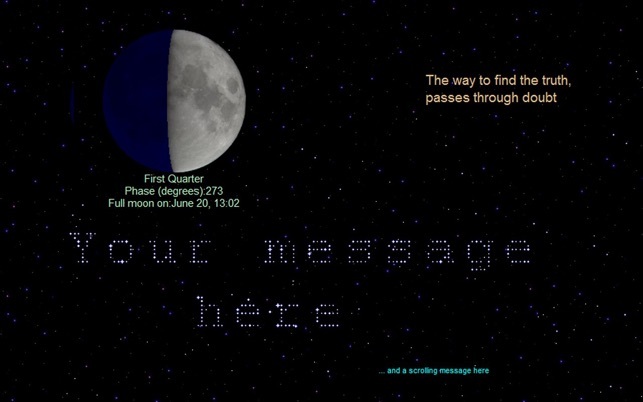 StarMessage is a feature-rich screensaver that shows the moon in its current moon phase together with moon phase information and reminds you about the upcoming full moon and new moon. your messages, your wishes, his or her name, or your love quotes. The screensaver contains hand-picked famous quotes so you can read something inspiring each time the screensaver starts. The screensaver can calm you by playing relaxing sounds of nature. A digital clock feature can show you the time while the screensaver is running. 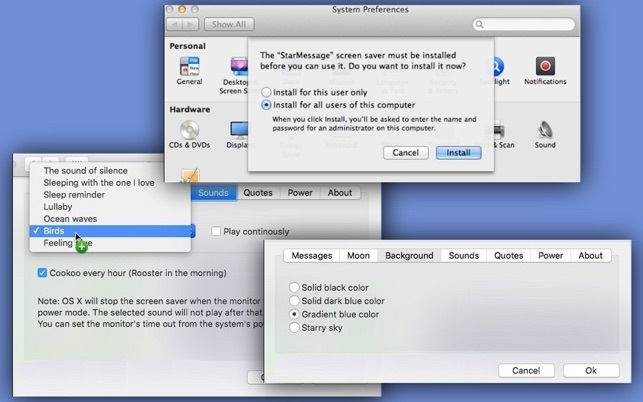 You can also use the screensaver's power settings to prevent the Mac from going to sleep mode when you are in the middle of a long download or in another time-consuming operation. 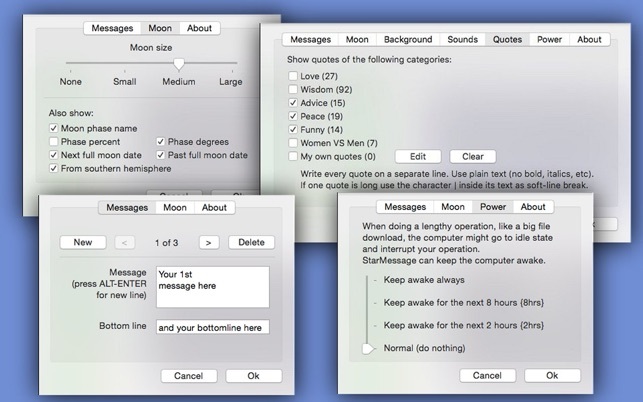 The screensaver is designed to do almost anything for you: Wait to see a shooting star and make a wish on it. Your wish might come true. Improvements in the screensaver's digital clock appearance and other internal improvements.